Ian Walker is a Senior Director within the Johnson & Johnson Global Community Impact team and guides the company's strategy and execution in the area of Social Business Practice, mainly in EMEA and Asia Pacific. The Global Community Impacts team is tasked with “Supporting and championing the people on the front lines, who are at the heart of delivering care”. Prior to joining the Global Community Impact team in September 2014, Ian was Managing Director of the Johnson & Johnson MISSA (Maghreb, Iran and Sub Saharan Africa) business for Johnson & Johnson’s Medical Device business for seven years. During this period, the business enjoyed significant growth, culminating in the award of the 2014 Queen’s Award for Enterprise in International Trade. 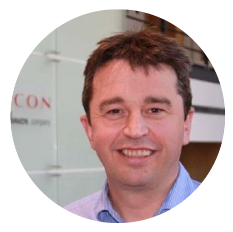 Ian has also held positions as UK Marketing Director for Ethicon, EMEA Marketing Director for CardioVascular and Marketing Director based at Ethicon’s World wide head office in Somerville, New Jersey, USA. Ian is also member of the UK’s Johnson & Johnson Medical Ltd Statutory Board of Directors. Ian has a great passion for Africa and has a particular interest in the area of Obstetric Fistula prevention and repair, and Surgical capacity building. Ian has a BSc (Hons) from the University of Aberdeen, MBA from University of Edinburgh and is a Fellow of the Chartered Institute of Marketing. Ian is married and lives in Fife with a wife, two boys, a Pyrenean Mountain Dog, two kittens, and six chickens. Greg has spent over 20 years in the healthcare and life sciences industry in a range of research and business roles. While working towards a BS in biology at Wake Forest University, he spent the summers doing biotechnology research at the National Institute of Standards and Technology in Maryland, and after graduating from undergrad, worked in the pharmacology department of the UNC Medical School doing molecular biology research on antibiotic resistance in bacteria. He then moved from “hands-on” lab research to a business setting as a project manager at Cato Research in RTP, partnering with pharmaceutical companies in running clinical trials, submitting dossiers to the FDA and other efforts. From there, he joined Kenan-Flagler and completed his MBA in 2001. After graduating, he joined Accenture’s Health and Life Sciences strategy practice, first conducting shareholder value analysis on most of Accenture’s healthcare and life sciences clients during a particularly slow economy after the dot com bubble burst. Most of his time at Accenture was spent working with clients on a range of strategy and operations engagements. He helped recraft the R&D governance model at Merck, establish a new resource management capability at BMS, and re-define the Crestor brand strategy at AstraZeneca. In 2005, he joined Bristol-Myers Squibb, where he’s been since. In his first role, he joined the Medical Affairs division in business operations, and led the company’s annual medical planning process globally. From there, he transitioned into R&D Operations, and led the R&D Scheduling and Resource Management group, which maintained the book of work for R&D, supported the R&D divisions with resource and capacity planning decisions, leading the R&D budget process and other pipeline operations efforts. He then led portfolio management, which informed portfolio health, enabled trade-off decisions, assessed long term sustainability and diversification and supported strategic planning. A little over a year into his current role, he is Head of Strategy and Operations for a newly created Business Insights and Analytics group, which consolidated all the key analytic functions across the company into one organization. Greg has also been heavily involved in the Strategy and Operations MBA program, which he led for several years, and continues to support in recruiting and mentoring capacities. Cedric M. Bright MD, FACP is the Associate Dean for Inclusive Excellence, Director of the Office of Special Programs, and an Associate Professor of Internal Medicine at the University of North Carolina (UNC) School of Medicine. He was recently the Assistant Dean of Admissions at UNC SOM and continues to work as an admissions officer. 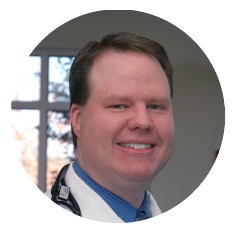 He previously worked as an Associate Clinical Professor of Internal Medicine and Community and Family Medicine at Duke University and as a staff physician at the Durham VA Medical Center. Dr. Bright has been featured in the AAMC (Asso of American Medical Colleges) article “Altering the Course: Black Males in Medicine”, and has been an invited expert to speak to the Academy of Medicine regarding the black male pipeline. Dr Bright has research interest include eliminating health disparities thus obtaining health equity, addressing implicit bias in medical education and in the clinical encounter. Terri Phoenix is the Director of the LGBTQ Center at UNC-Chapel Hill. Terri has served on the Executive Board of the National Consortium of Higher Education LGBT Resource Professionals, as Chair of the Board for Safe Schools North Carolina, and on the NC ACLU transgender advisory board. Terri recently was recognized with the UNC-Chapel Hill Staff Diversity Award (2016) and the University Award for the Advancement of Women (2015). T has given numerous invited and peer-reviewed presentations on inclusive practices at local, regional, and national conferences. T is an alumnus of East Carolina University (BA), UNC-Greensboro (MS), and University of Georgia (PhD). Outside of work, T loves to spend time with family and friends, walk in the woods, and ride T’s motorcycle. Brian Toomey joined Piedmont Health Services Inc. (PHS), a FQHC founded in 1970, as the Chief Executive Officer in January, 2005. Since Brian joined PHS, the organization has grown from six CHC sites with an annual operating budget of $14M, serving 24,000 people with 140 FTE staff, to an organization that now has 12 sites, an operating budget of $66.7M (FY18), over 43,000 patients, 530 staff and two PACE sites that will serve 390 participants in 2018. 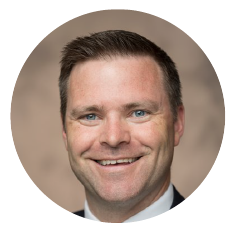 Troy Trygstad PharmD MBA PhD, is Vice President of Pharmacy Programs for Community Care of North Carolina (CCNC), an organization providing medical homes for 1.4 million Medicaid recipients. Under his direction at CCNC, the Network Pharmacist program has grown to include more than 80 pharmacists involved in activities ranging from patient-level medication reconciliation to practice-level health information technology adoption to network-level management of pharmacy benefits. In addition to serving on multiple advisory panels addressing medication non-adherence, he has co-developed novel adherence programs and technologies that use multiple types and sources of drug use data to predict, intervene and triage medication management interventions and coaching opportunities under a multi-state collaborative called The Pharmacy Home Project. Jim Johnson's research interests include community and economic development, the effects of demographic changes on the U.S. workplace, interethnic minority conflict in advanced industrial societies, urban poverty and public policy in urban America, and workforce diversity issues. Dr. Johnson examines the causes and consequences of growing inequality in American society, particularly as it affects socially and economically disadvantaged youth; entrepreneurial approaches to poverty alleviation, job creation, and community development; inter-ethnic minority conflict in advanced industrial societies; and business demography and workforce diversity issues. Dr. Chin-Quee is an international health researcher specializing in family planning and reproductive health at FHI360. In her capacity, Dr. Chin-Quee designs, implements, and evaluates public health interventions that increase access to safe, effective, and patient-centered contraceptive technologies. 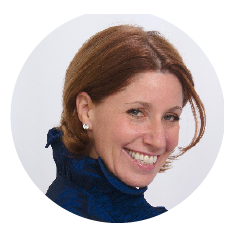 Maureen Corbett, Vice President of Programs, IntraHealth International, Inc.
Ms. Corbett is a global health expert at IntraHealth International, a Chapel Hill-based iNGO working to improve the performance of health workers and the systems in which they work. She has extensive experience with key stakeholders and partners, and hands-on experience in integrated primary health care service delivery, health workforce development, and health systems improvements. Markus Saba is an experienced pharmaceutical senior executive with an expertise in global marketing. Over his 23-year career with Lilly he has held numerous marketing leadership positions. In addition, Markus is an Adjunct Professor at the University of North Carolina Kenan-Flagler Business School where he teaches a Global Healthcare class. Don Turner has 25 years of experience commercializing transformative and award winning innovations across numerous industry verticals on a global basis. His experience ranges from serving in leadership roles at fortune 50 companies to launching start-up ventures with a few employees. Don has played key roles in rapidly building several billiondollar businesses, driving business expansion across 100+ countries, forming a broad range of strategic alliances and partnerships, and successfully managing numerous $1B+ M&A transactions. Larry Chavis researches how weak institutions in developing countries pose challenges for new business formation. He is studying how organizational design affects the delivery of development aid to rural communities and small-scale entrepreneurs in Indonesia. Transparency International’s Global Corruption Report 2005 summarized his research on the effect of social networks on firm bribe payments in transition economies. Samuel Cykert, MD is a Professor of Medicine at UNC-CH in the Division of General Internal Medicine and Clinical Epidemiology. He also serves as the Director of the UNC School of Medicine Program on Health and Clinical Informatics. Combining his research training and interest in health policy, he currently serves as a principal investigator on multiple projects that address health disparities in both cancer treatment and chronic care management. Dr. Carlton Miller attended UNC as an undergrad on a Morehead Scholarship and medical school on an Armed Forces Scholarship. After seven years as a US Navy Medical Officer, he moved to Durham where he has practiced Internal Medicine since 1994. He sees patients five days a week at Novant Health Durham Internal Medicine where he is the lead physician. His executive physician duties for Novant Health are Triangle market leader; New Technologies and Innovations Committee chair; Lab Services Clinical Liaison; and Professional Excellence Committee. Franklin is a fourth-year medical student at the University of North Carolina School (UNC) of Medicine and has completed his Master of Public Health at UNC’s Gillings School of Global Public Health. Because of his interest in family medicine and public health, he has also been recognized for helping to found MedServe, a student-run not-for-profit that exposes recent college graduates to primary care medicine in rural and underserved North Carolina. Dr. Saeed is the Chairman of the Department of Psychiatry and Behavioral Medicine at the Brody School of Medicine, East Carolina University. He also serves as the Executive Director of Behavioral Health Service Line for Vidant Health, a non-profit hospital system in Eastern North Carolina. 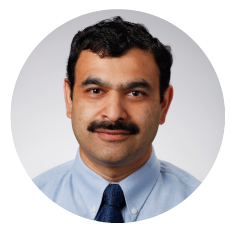 Dr. Saeed also serves as the Director of the Center for Telepsychiatry at ECU and as the Director of North Carolina Statewide Telepsychiatry Program (NC-STeP), a state funded program covering over 70 hospitals in North Carolina. 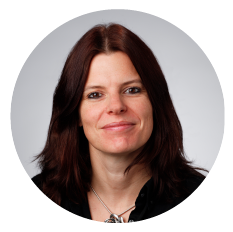 Elizabeth Davies oversees Payer Marketing at GSK for specialty products (NUCALA, BENLYSTA IV, BENLYSTA SC), Access Solutions for patients (Reimbursement Hubs and Co-Pay programs) and Specialty Reimbursement and Operational Compliance. Her team works closely with the brand teams, sales teams, payer account teams, and field reimbursement teams. Elizabeth brings 14 years of relevant commercial and payer experience to the role. Prior to joining GSK, she worked at Xcenda, a healthcare consulting company, advising specialty pharmaceutical and biotechnology clients on strategic initiatives related to market access, reimbursement, and health policy. 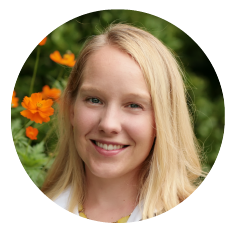 Elizabeth holds an undergraduate degree from Duke University and a Master of Healthcare Administration (MHA) from University of North Carolina at Chapel Hill. Jennifer is Chief Operating Officer of Select Segment. Jen, alumni of Cigna's Healthcare Leadership Program, has held leadership positions in Marketing, National Accounts and Underwriting. She was responsible for the development of strategy, product and marketing for Cigna's Stop Loss business unit. Most recently, she led Cigna's coaching programs within Consumer Health Engagement. Before joining Cigna Jen was a cardiac nurse providing direct patient care. She was extremely active in the disability community where she focused on increasing State capacity to serve children with disabilities through grants from the U.S. Department of Health and Human Services. Jen holds a Bachelor of Science Degree in Nursing from St. Joseph College and an MBA from the University of Connecticut. Jennifer Simmons is the Director for the North Carolina Navigator Consortium, as well as a Supervising Attorney with Legal Aid of North Carolina. As Director of the NC Navigator Consortium, she provides day-to-day technical support, guidance and strategic leadership for a collaborative of twelve non-profits dedicated to providing outreach and enrollment services across North Carolina as recipients of the second- largest navigator grant nationally. In her role at LANC, she manages a team of thirty- five navigators in sixteen different offices, providing outreach and enrollment services to consumers across North Carolina. Jennifer was previously a Staff Attorney with Legal Aid specializing in public benefits law, including Social Security, Medicaid, and SNAP (Food Stamps). 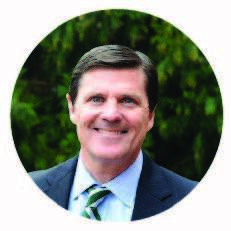 Dr. Rick Sherwood has over 7 years of experience across diverse healthcare arenas. Rick completed a dual MD/MBA degree from UNC in 2015, where he was a Sternberger Scholarship award recipient. Prior to graduate school, Rick was a business analyst for McKinsey and Company. His research in pediatric hospital/ health system management led to publication in the McKinsey Quarterly. At Triangle, Rick has developed particular expertise in corporate strategy, pricing strategy and commercial assessments of both pharmaceuticals and medical device assets. Eva Labro’s research and teaching interests in management accounting interface with economics, operations research, and purchasing and supply management. She is specifically interested in costing system design, and the provision of management accounting information for both decision making and performance measurement. Louise Vincent, MPH, is dedicated to moving drug user health from a criminal issue to a public health issue, and is passionate about drug user organizing and meaningful engagement of those who are most directly impacted. For a decade she ran an underground syringe exchange, fighting for changes in legislation because she knew that this intervention was effective. In 2016 syringe exchanges were made legal in NC with significant bipartisan support (HB972), and the Urban Survivors Union started the only user-led program in the South. She is also a certified HIV and HCV counselor, and in her work with the NC Harm Reduction Coalition she oversees hepatitis and HIV support services in Greensboro, High Point, Asheboro, and Winston-Salem, as well as syringe and Naloxone access to people at risk of overdose. She has reversed hundreds of overdoses in North Carolina, and intimately understands drug addiction and recovery (as well as the harms of drug policy) from deeply personal experiences, including struggling with substance use and mental health issues herself. Kevin Bingham is a Managing Director in Deloitte Consulting’s Actuarial, Risk and Analytics practice and co-chair of the Casualty Actuarial Society’s Innovation Council. He has over 25 years of industry experience, including 20 years in consulting. His work involves consulting for the insurance, healthcare and public sectors. The complex problems appearing during the course of his work experience has provided Kevin with dynamic research opportunities leading to the development of articles and presentations addressing important industry issues. To date, Mr. Bingham has published almost 80 articles/papers and spoken at over 100 events. Kevin is deeply committed to helping win the battle against opioid abuse and addiction. He is a frequent speaker on the topic and has written numerous articles on the topic. Brendon Collins is responsible for global marketing and strategy in Lilly’s emerging pain portfolio. Lilly is committed to helping transform the management of chronic pain by focusing on meaningful, non-opioid treatments for various chronic pain states. Prior to joining the pain team, Brendon worked in the cardiovascular division at Lilly where he helped bring multiple product to market in the US. Before Lilly, Brendon was a fellow in the Governor Bob Orr Indiana Entrepreneurial Fellowship, a highly selective program that recruited college graduates to innovative, start-up companies. Brendon has and undergraduate degree from the University of Notre Dame and an MBA from Duke’s Fuqua School of Business. Dr. Susan M. Kansagra serves as Section Chief of Chronic Disease and Injury for the NC Division of Public Health. In this capacity, she oversees public health initiatives related to chronic disease, tobacco control, cancer prevention, injury prevention, and the public health response for addressing the opioid crisis. Her previous roles include serving as Deputy Commissioner of the New York City Health Department, as well as, Assistant Vice President of Population Health for New York City’s public hospital system. She has published extensively on public health issues related to chronic disease. Dr. Kansagra completed her Internal Medicine training at Massachusetts General Hospital. She received her medical and business degrees from Duke University. Jon Easter joined the UNC Eshelman School of Pharmacy in January 2016 as a Professor of the Practice and Director, CMOPP. CMOPP creates impactful real-world research, generates evidence, disseminates best practices, and advances education to integrate medication optimization into value-based care delivery and payment models. Previously, Jon spent 20 years at GlaxoSmithKline (GSK), where he primarily worked in the health policy arena. Peter C. Johnson, MD is a University of Notre Dame and SUNY Upstate Medical University graduate. After General and Plastic Surgery training, Dr. Johnson practiced reconstructive surgery for ten years at U. Pittsburgh where he founded and was the first President of the Pittsburgh Tissue Engineering Initiative. Subsequent roles were co-founder/CEO of Tissue Informatics, EVP of Life Sciences, CMO and CBO of Icoria, EVP, Entegrion, Inc. and VP, Research and Development and Medical and Scientific Affairs of Vancive Medical Technologies, an Avery Dennison business. He presently serves as President and CEO of Scintellix, LLC, Chief Medical Advisor to Vancive Medical Technologies and Co-Founding Principal of MedSurgPI, LLC. He has Chaired the Plastic Surgery Research Council, was President of the Pennsylvania Biotechnology Association and the Tissue Engineering Society, International (now TERMIS) and is presently the Co-Editor-in- Chief of the three-part Journal, Tissue Engineering. Steve’s 16 years of digital experience started with marketing technology leadership roles in media and pharmaceutical verticals. Finding passion in using technology and marketing expertise to influence user behavior led Steve to strategic management marketing positions at Salix, a leading pharma company. Now, Steve’s diverse expertise guides the development of digital solutions and innovations at MicroMass Communications, Inc., a premier behavioral change agency that supports diverse pharma clients. Steve received a bachelor of science degree in management information systems from North Carolina State University. 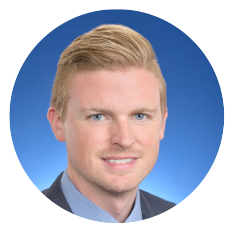 As a member of SAS’ Health and Life Science leadership team, Christian leads the SAS industry and technical pre-sales consulting teams. He served as the Head of the SAS Center for Health Analytics and Insights from 2013-2015 where he led a group of industry experts to identify and incubate potential SAS analytics offerings for payers, providers and pharmaceutical companies. Prior to that, he held roles at Quintiles, Milliman, Campbell Alliance and RTI Health Solutions. Christian received his MBA from the University of North Carolina, MA in Applied Economics from the University of North Carolina at Greensboro and BA from the University of North Carolina at Asheville. John Rosano brings 20 years of management experience to Cigna Healthcare (Cigna). John creates and directs business development strategies to accelerate Cigna's inorganic growth by providing financial analysis and assessment, and participating in negotiations. John joined Cigna in 2009 where he was charged with driving product strategy, innovation and design that increases customer adoption and engagement of Cigna's digital channels. Most recently, he had primary responsibilities for the launch of Cigna's One Guide product, a solution that brings omni-channel health engagement to Cigna's customer. Prior to that, he held roles at Deloitte Consulting, Google, and other well-known technology companies. John holds a BS in Communications from Ithaca College, an MBA in Finance and Strategy from Vanderbilt University, and is a graduate of Columbia University’s Technology Management program with a focus in Computer Science. Edwin D. Trautman, Ph.D., Vice President, Bioinformatics and Healthcare Innovation at LabCorp has been involved with healthcare and technology for over three decades, serving on the staff at Massachusetts General Hospital and on the faculties of Harvard Medical School and MIT before growing several small businesses and leading healthcare technology groups. Ed led development of the first commercial electronic medical record system at Cerner, of Internet-based pharmacy benefit management at CareInsite (now WebMD), and extended Harvard’s evidence-based r risk management and patient safety tools and services to many national healthcare systems as president of RMF Strategies. More recently Ed was COO and led development of next generation DNA diagnostics and reporting at Correlagen prior to its acquisition by LabCorp in 2009. The impact of social media on business; open innovation approaches in innovation tournaments and collaborative communities; and virtual teams are areas of research for Arvind Malhotra. His research projects include studying successful how brands leverage social media for creating a loyal customer base, successful open- innovation organizational and extra-organizational structures; adoption of innovative technology-based services, such as wireless, by consumers and organizations; and management of knowledge in extra-organizational contexts. Dr. Oberlander’s research focuses on health care politics and policy, health reform, and Medicare. He is author of The Political Life of Medicare, published by University of Chicago Press. Dr. Oberlander has commented on health reform for a number of media outlets, including the New York Times, Washington Post, Wall Street Journal, Los Angeles Times, the New York Review of Books, National Public Radio, the BBC, the Australian Broadcasting Company, CBS News, Politico, and PBS. Oberlander holds a Ph.D. and M.A. in political science from Yale University, and a B.A. in political science from the University of North Carolina-Chapel Hill. David Price represents North Carolina's Fourth District, which includes parts of Orange, Durham, and Wake counties. He received his undergraduate degree at UNC-Chapel Hill and went on to Yale University to earn a Bachelor of Divinity and Ph.D. in Political Science. Before he began serving in Congress in 1987, Price was a professor of Political Science and Public Policy at Duke University. He is the author of four books on Congress and the American political system. Price currently serves on the House Appropriations Committee and is the ranking member of the Transportation, Housing and Urban Development Appropriations Subcommittee. He is also a member of the Appropriations subcommittees covering homeland security, State Department, and foreign operations funding. He is a recognized leader in foreign policy, co-chairing the House Democracy Partnership, which he initiated to help strengthen parliaments in emerging democracies. In North Carolina, David's constituents know him as a strong supporter of education, accessible health care, affordable housing, clean air and water, and improved transportation alternatives. As director of health policy Melissa oversees a team of professionals who works across the company to develop Blue Cross Blue Shield of North Carolina’s position on public policy and regulatory matters and engage in efforts to shape them. Melissa has over 25+ years of experience working in the health care arena including health insurance, hospital association and social services. Before joining BCBSNC, she was with Premera Blue Cross where she served as a Senior Consultant, Legal & Regulatory Affairs. Prior to that she spent 12 years with the Hospital and HealthSystem Association of Pennsylvania where she served as the Senior Director, Regulatory & Legislative Advocacy. Ms. Speck holds a bachelor’s degree in social work from George Mason University and a master’s degree in management from Webster University. Associate Professor of Medicine at UNC Chapel Hill. Brad Staats examines how individuals and organizations learn and improve in order to stay relevant, innovate and succeed on an ongoing basis. His teaching focuses on learning and analytics. In addition to teaching on these topics at UNC Kenan-Flagler, he works with many companies around the world on their learning and analytics strategies. Dr. Staats leads the Business of Health Care Initiative (BOHC), a cross- disciplinary initiative targeting some of the biggest health-care challenges of our time, at UNC Kenan-Flagler.